The term demography is composed of two words, ‘demos’ means people and ‘graphien’ means to study. Therefore, demography is the scientific study of human population primarily with respect to size, structure, distribution and change (development). In short, demography is the scientific study of population. Population change results from interaction of demographic components, viz, birth, death and migration. Therefore, demography deals with the detail study of the three components. With the measurement of such components, various aspects of population are analyzed and interpreted. It helps to plan and implement various development activities. Birth, death and migration are called demographic component as well as the determining elements of population change because they affect the situation of population. Therefore, the size of population depends mainly upon birth, death and migration. Births are affected by fertility, death by mortality and migration by the process of migration. In this way, fertility is related to the population growth and mortality to the population decrease. Similarly, migration is also related to the population change due to the incoming and outgoing migration. Marriage also causes the migration of women. The mentioned fertility, mortality and migration are called demographic processes. These processes also cause the change in population size, composition and distribution. Demographic measures are the actual changes in size, composition and distribution due to changes in demographic components like birth, death and migration, as a result of their respective processes like rate of fertility, mortality and migration. Demographic measures are enumerated by applying specific formulas for specific type of measurement. Fertility refers to the reproductive function. It is the ability to bear offspring. It is the production of live birth which starts when a woman gives the first birth. Its period is generally 15-49 years of age. Likewise, fecundity is the psychological capacity to participate in reproduction. It starts with the regulation of monthly menstrual cycle. Fertility results in birth. It is measured by the actual number of births. Crude Birth Rate is the simplest way of measuring fertility. The crude birth rate of an area is defined as the number of live births occurring in that area, in a given period of time, usually, a year, divided by the total population of that area as estimated at the middle of the year. The rate is expressed in terms of “per 1000 of population”. General Fertility Rate gives the number of births occurring within a given population during a specified year per 1000 women aged 15 to 49 in the population at mid-year. Fertility rates may be computed for each age from 15-49 years. However, computation of each year may not be necessary, generally fertility rates for five-year ago groups are measured. Such fertility rates are known as age-specific fertility rate. Total fertility rate is referred to the number of children of a women, would bear during her childbearing age under ongoing age-specific fertility rate (ASFR). It is measured as the sum of age-specific fertility rates calculated for the same single year. Since, the ASFR is calculated for 5 year age groups, the sum of ASFR’s need to be multiplied by 5. Demography is the scientific study of human population primarily with respect to size, structure, distribution and change. Fertility refers to the reproductive function. It is the ability to bear offspring. Crude Birth Rate is the simplest way of measuring fertility. The word 'demography' is derived from two Greek words 'demos' meaning people and 'graphy' meaning science or studies. So, demography refers to the study of human population . It makes scientific and statistical study of population with respect to its size. The study of human population is very important. It has developed as a separate discipline of modern time. 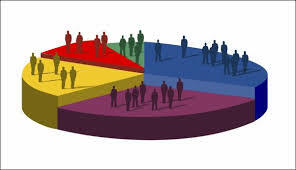 It gives us information and idea about the population situation and its trend. Problems of its management and solution . So, it is essential in planning and developmental activities of every human society. In 2058 BS a certain district of Nepal had a population of 32,423. If 915 children were born alive that year, what was its Crude Birth Rate(CBR)? Crude Birth Rate (CBR) =? Therefore, crude birth rate of the district was 28.22 per thousand mid-year populations. What is the full form of GFR? Who was the first user of the word "demography"
Any Questions on 'Demographic Components, Processes and Measures '?